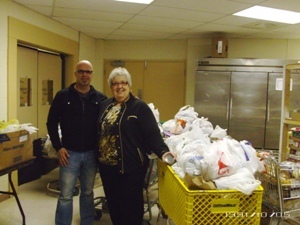 left to right: (Jak Knudsen, Pat Davis) Jak Knudsen of SIX delivers over a half ton of food to the CAM pantry. 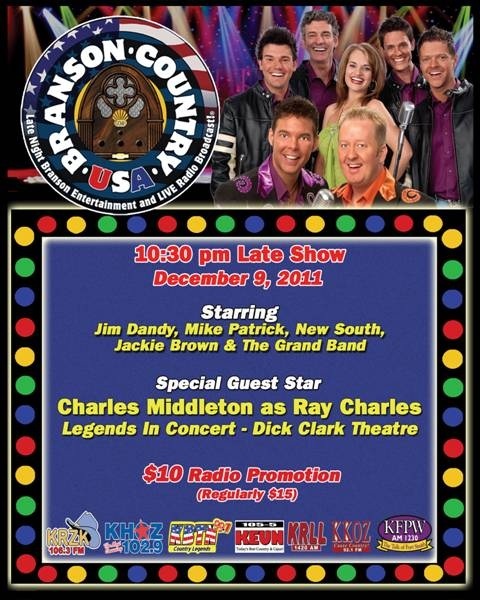 Branson…One of Branson’s top shows, SIX, held a food drive for Christian Action Ministries (CAM) at a recent show. SIX fans came through in a big way with 1,176 pounds of food to help fill the winter shelves at the CAM pantry. Anyone that would like to help, make a donation, put together a food drive, raise funds, or volunteer time, should contact Pat Davis at 334-1157 or visit www.christianactionministries.org. 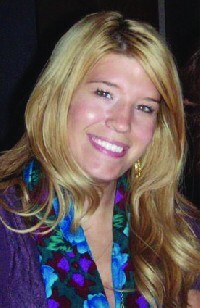 Legends in Concert is excited to welcome Jennifer Rodgers as the new Group Sales Manager for the 2012 season. Jennifer has worked in the Branson market for many years and she will be a great addition to our team. Please join us in welcoming Jennifer in her new role! Jennifer Rodgers can be reached directly at 417-339-3003 x 3016. College of the Ozarks student Noble Carpenter (of Rocheport) won second place at the 2011 Young Farmers and Ranchers Collegiate Division Discussion Meet at the 97th annual meeting of the Missouri Farm Bureau Federation, Dec. 4 at Lake of the Ozarks. During the meet, students were asked to discuss the question “How do we capitalize on the growing world demand for agricultural products?” The topic/question was one of five contestants researched. Carpenter competed against students from Missouri State University, University of Central Missouri, Truman State University, Northwest Missouri State University and Southeast Missouri State University chapters. There are a total of seven chapters throughout the state. For second place, he received a plaque and cash award of $200 from the Missouri Farm Bureau Foundation for Agriculture. University of Missouri student Beth Nordwald won first place and Truman State student Casey Davis won second in the competition. One of Branson’s newest restaurants organized a fundraiser to bring in funds for Christian Action Ministries (CAM) just in time for the Christmas season. Table 22 opened its doors in March 2011 and its owners Dr. Richard Makuch and his wife, Angie Ann, realized the importance of giving, especially during these difficult financial times. The Makuches, who also own Palate Fine Wine and Provisions, decided a wine tasting dinner would be a fantastic way to raise funds for CAM. Guests were requested to bring a unique bottle of wine from their own wine cellars to share with the other diners and to make a contribution towards CAM. Manager Stewart Langer organized the dinner and noted that participants were generous with their contribution to CAM, as well as the wines they brought to share: 1988 Mouton Rothschild Magnum, 1998 Clos de Tart Magnum, and a 2003 Leroy were among the gems. They feasted on a dinner especially created by Chef Matt Middleton of Table 22. Table 22 is located at 114 East Main Street, 417-973-0022, www.Table22Branson.com. The Palate Fine Wine and Provisions is located at 110 East Main Street, 417-335-2675. 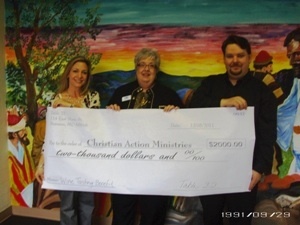 Anyone that would like to help CAM by making a donation, putting together a food drive, raising funds, or volunteering time, should contact Pat Davis at 334-1157 or visit www.christianactionministries.org. College of the Ozarks is one of the top baccalaureate colleges in the area; it is also one of the best places to have a job. Springfield Business Journal ranked C of O 3rd among employers with between 100-300 employees in the Springfield-Branson area this year. Springfield Business Journal’s Choice Employers made its debut in 2006 as “Best Places to Work.” The name has changed, but the mission is the same. Its mission is to honor local companies that have exceptional work environments. The College offers 100 percent health insurance premiums for full-time employees, tuition reimbursement, on-site childcare, inexpensive on campus dining, free admission to College events, extra paid vacation during the holidays, and a 403(b) retirement plan. The Springfield Business Journal used a 32-question online survey to determine how well employers treat employees in five key areas: family friendliness, incentives, people development, corporate culture and civic engagement. College of the Ozarks had the highest possible score for civic engagement and the second highest score for people development, family friendliness and corporate culture as compared to similar-size firms. For more information, please call the Public Relations office at (417)690-2212. Connell Insurance Grows Yet Again. Hollister, MO…As the leaves changed colors last month, Connell Insurance added yet another employee to their growing company. Lucas “Luke” Logan is the newest addition as a consultant for family and commercial lines. Luke was born and raised in the Kansas City area and moved to the tri-lakes area in 2003. After nearly a decade working for Premium Home Loans and RE/Max Associated Brokers in the Branson area, Luke is looking forward to applying his experience and his outgoing personality to the building of relationships in the community. He is proud to be part of the Connell team. From now until the end of the year we would like to offer our local residents 20% off any purchase at our Branson Mount Pleasant Winery location. This applies to anyone living or working in Taney, Stone or Christian counties. Please bring in your proof of residency or your proof of employment. Happy Holidays! 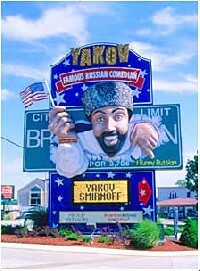 Branson, MO ~ After two decades, Yakov Smirnoff announces that 2012 will be his last full season performing at his Branson theatre and that the multi-talented comedian will be touring the country in 2013 with his hilariously-funny standup comedy show. Smirnoff will continue to call Branson his home and remain actively involved in the community and his theatre. His newest production, Happily Ever Laughter, builds on his critically acclaimed one-man Broadway show, about which The New York Times said, “His Broadway show is splendidly funny, and a generous display of warmhearted, high-quality humor.” His longevity in Branson has given him a chance to evolve as an entertainer, writer and producer but Smirnoff relishes the opportunity to get back to his comedic roots. Innovative and funny standup comedy that reveals how to sustain love and laughter in relationships is supported with knowledge from his master’s degree in psychology. Though he is celebrating his 20th and his last full season performing the Yakov LIVE! production, Smirnoff will continue to produce world-class entertainment for his Branson theatre. 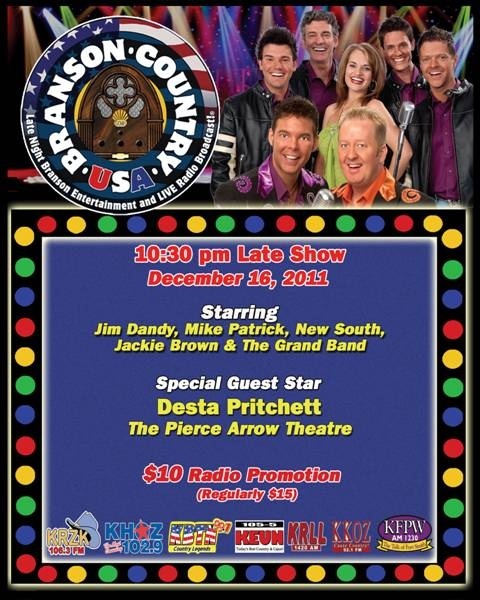 He recently announced the five-year run of a brand new show that was designed especially for Branson called Brady Brunch with Barry Williams, the real Greg Brady from the 1970’s hit television show The Brady Bunch. America’s favorite Russian comedian, Yakov Smirnoff has been a mainstay in the entertainment scene since the late 1970s. By the mid 1980s he had several films and television appearances under his belt, joining the ranks of icons Robin Williams and Tom Hanks. After performing in his own 2,000 seat Branson, MO theatre for years, in 2003 he landed on Broadway performing in his critically acclaimed, one-man show As Long As We Both Shall Laugh. In addition to his standup comedy, television, film and stage success, he has written several books, recorded CDs, DVDs, and is a talented artist. In 2006, Smirnoff received his master’s degree in psychology from the Ivy-League University of Pennsylvania. While performing more than 200 shows per year at his Branson theatre, he also speaks to business groups, presents seminars, is a published columnist for national magazines, and is a professor teaching classes about the relationship of Love and Laughter at Missouri State University and Drury University. He’s taking his Happily Ever Laughter show on the road where audiences across America will see that you can live Happily Ever Laughter and laugh your Yak-off! Visit www.Yakvo.com for tour and Branson show dates.